The decision to cut £250,000 of funding to a hospice is "heartbreaking" and "flawed", its supporters have said. 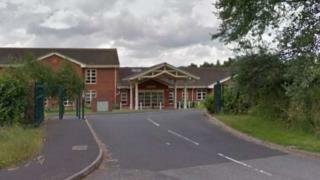 Telford and Wrekin Clinical Commissioning Group (CCG) said it was a "difficult decision" to make the cut to its £1m grant, resulting in a loss of two beds at Severn Hospice in Telford. Staff at the hospice said they were "extremely disappointed" by the decision. The CCG said grants were discretionary and subject to review. An MP for the area said he was seeking an urgent meeting with the CCG. The hospice will now have seven beds instead of nine and any patient who cannot be helped there will be referred automatically to Princess Royal Hospital. Meg Saunders, 29, from Ludlow, said the hospice offered "invaluable" support to her late father Michael Morris prior to his death aged 59 from liver cancer in December 2016. She said: "I'm so shocked at the CCG's decision. They're not going to save money in the long run by doing this and to think that some families just won't have the support we had is heartbreaking." In a statement, the hospice said: "The hospice's leadership team is extremely disappointed that the CCG has cut its hospice funding because everyone will be made worse off by the decision." Conservative MP for The Wrekin, Mark Pritchard, said: "I am seeking an urgent meeting with the lead director of the Clinical Care Commissioning Group. "There is no justification for this flawed decision." Dave Evans, accountable officer for Telford and Wrekin CCG, said: "These grants are discretionary and reviewed on a yearly basis", adding that the CCG will help the hospice to "to seek alternative funding from other potential sources". Is it time to help the hospices?